Ok, ok, I have to say it. It was my New Year's Resolution to have one new pattern written every two months for 2014. That means 6 patterns for the year. That means by the end of February, one should be written, done, complete and in the shop. Which means that I only have 16 days to hit that first goal. 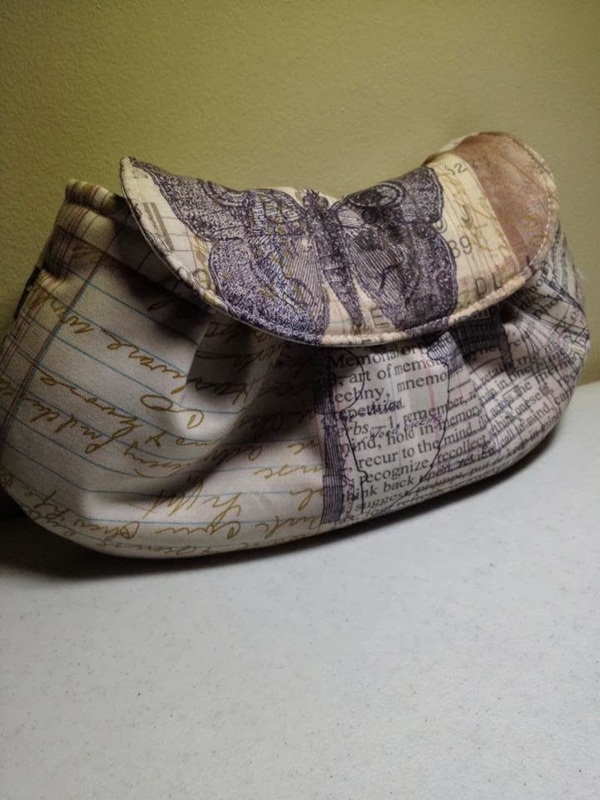 This is the Crinkle Clutch, named by my pal Pagie, at Great Pacific Frame Shoppe. She has been assembled, she has been photographed, she has paper pieces already done up by my very helpful and computer handy husband. And I just need to finish her procedure directions. I have promised those to a pattern tester, and put her picture on all my social media. All this hype is for one purpose: to force me to finish. I am the world's worst pattern writer finisher. The worst. But it is my goal to get better, and I need to be shamed into it, by telling you all about it. The end. ps, now I'm going to go enter it in a linky party. For further exposure and pressure. Check it out at Fresh Squeezed Fabrics. I did get it written - now just waiting on formatting and a tester to work through the kinks. Hope to have it available soon!